Why choose Velocity Bulk Email Marketing? 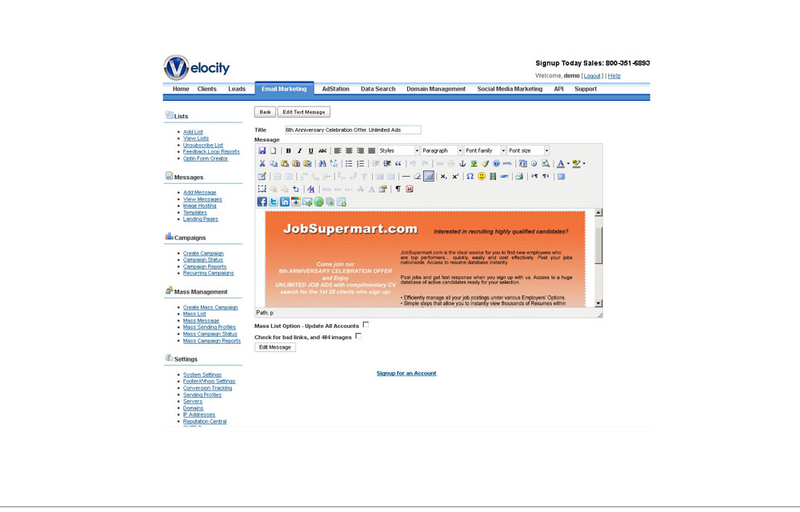 Velocity Marketing's bulk email software is useful because it does not require you to download any software. The software is cloud based and comes ready with an easy to use interface. Businesses have turned to bulk email advertising as a way to cut costs and gain more clients that may have not heard of the service otherwise. It is important to ensure proper business practices, especially with advertising your product. 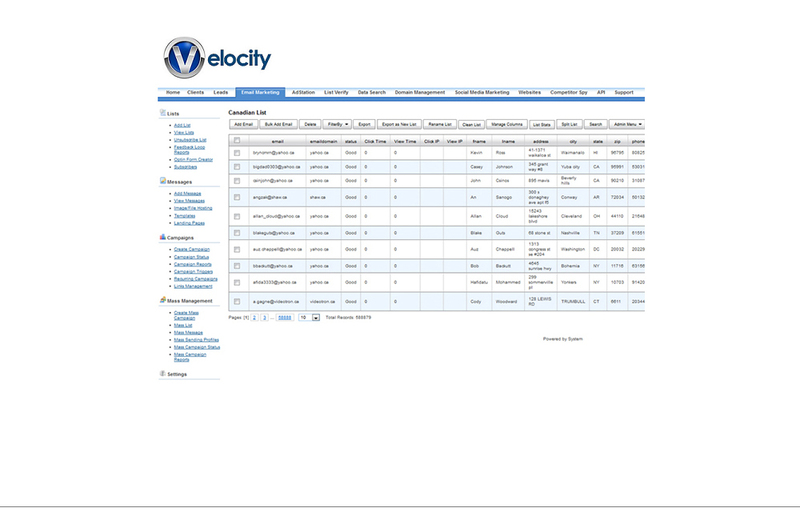 Velocity Marketing Software has built in CAN-SPAM compliance and a built in permission pass system. This puts less stress on you as a consumer and allows you to focus more on growing your own business model. An advantage to bulk email advertising is that it is cost effective alternative to traditional advertisements. Radio and television advertising is expensive and may not even reach your target audience. Mail service can often times be unreliable or slow which may cause a number of different problems. First of all, it may not reach potential clients at all. Secondly, it may reach a potential client when it is too late and they have already found another alternative. For these reasons, bulk email seems like the logical solution to these problems. There is no need to worry about reaching people that are not interested in your service because they will be able to unsubscribe from your advertisements. Bulk email is also good for simply getting the word out about your business. With bulk email, you can potentially reach 10 million people a day. At the very least, you will quickly start gaining recognition solely from word of mouth. Not all the people that receive an email will be interested, but there is a good chance that they will know someone that is interested in your service.